If you haven't jointed Facebook yet, come on over, we're waiting for you. Lots of friends have already posted pictures. 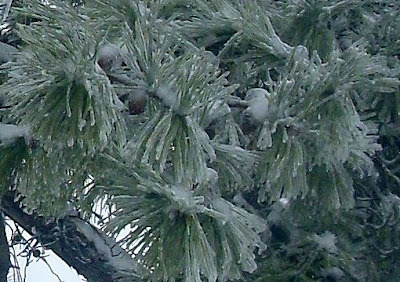 Each pine needle covered in ice. Beautiful!